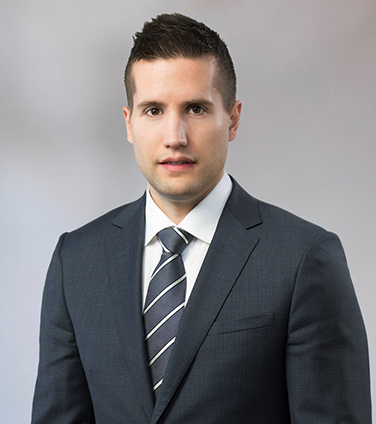 Justin attended law school at the University of Saskatchewan, where he volunteered with Pro Bono Students Canada and was the recipient of the class award in Contract Law. Following graduation, Justin clerked at the Alberta Court of Appeal in Calgary under the Honourable Justice B.K. O’Ferrall. Before attending law school, Justin studied political science at the University of Calgary. Prior to university, Justin worked on various oilfield pipeline and facilities projects in Alberta, Saskatchewan, and British Columbia. His time in the field gave him experience with all aspects of pipeline and facilities construction, where he began as a general labourer before eventually supervising entire projects as a pipeline crew foreman. Justin enjoys watching football, and as a long-time hockey player, he is happy to be back on the ice now that he has returned home to Calgary.